If you have forgotten your Drupal account password, or wish to reset it for any reason, you can do so in a number of ways. Head to the login page, which can be found at http://[yourdomain]/?q=user. Change [yourdomain] for the domain at which your Drupal site is hosted. In the User login section, click the Request new password? link. The User account page will be displayed. Enter the username or email address associated with the account and click E-mail new Password. Drupal will validate the address and, if a valid account is found, a confirmation email will be sent. Head to your email inbox where you should find the password reset confirmation waiting for you. Click the link embedded in the email to continue. You will be allowed to log in to the site to change your password. Click the Log on button to proceed. 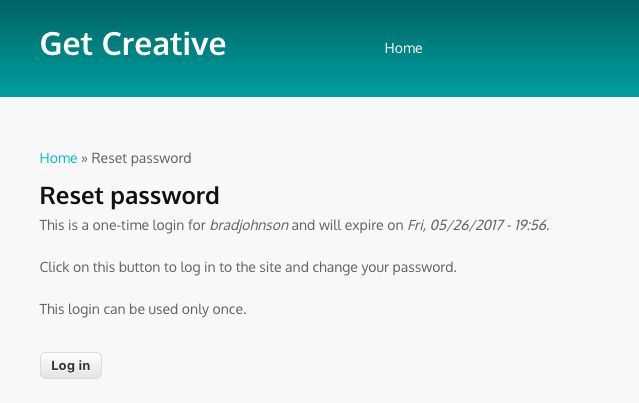 Enter the new password twice, then click Save to continue. You can now continue using your account with the new credentials. 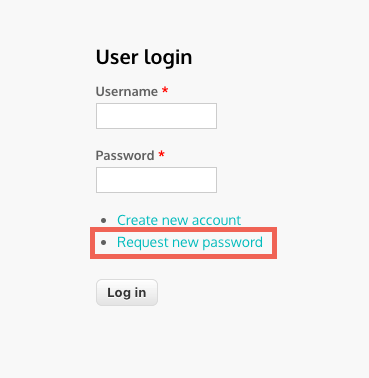 Users with advanced technical knowledge can change the Drupal account password using a database query in phpMyAdmin. Follow the steps outlined in this Drupal knowledge base article. 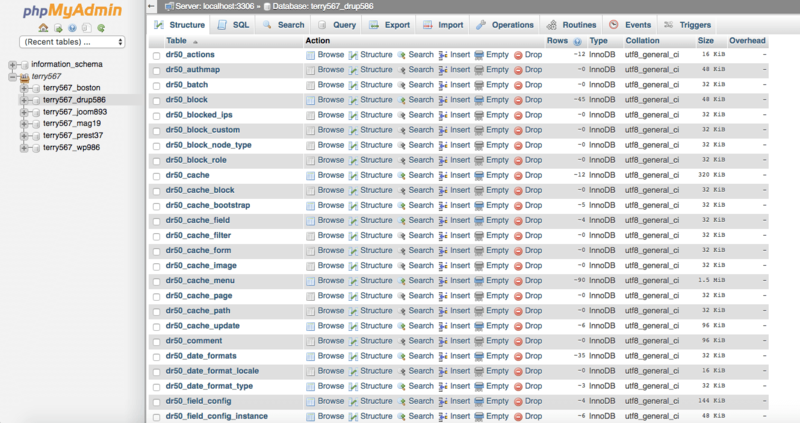 Visit the HostPapa Dashboard and, in the top menu, click My cPanel. 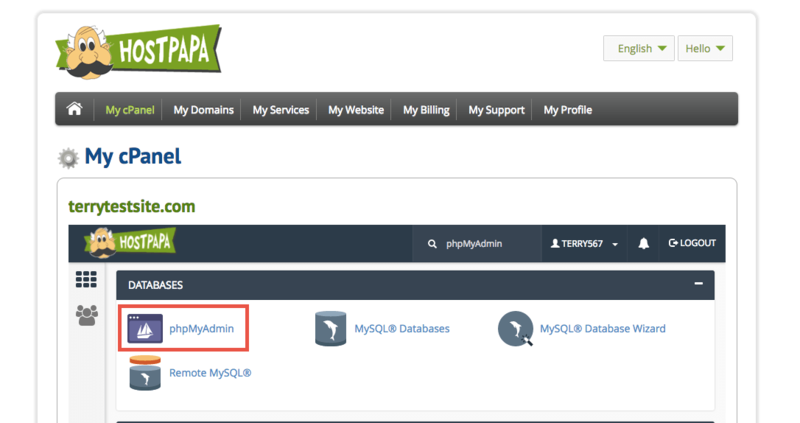 Scroll down to the Databases section and select phpMyAdmin. In the phpMyAdmin sidebar, select your Drupal database. At the top of the page, select the Query tab. 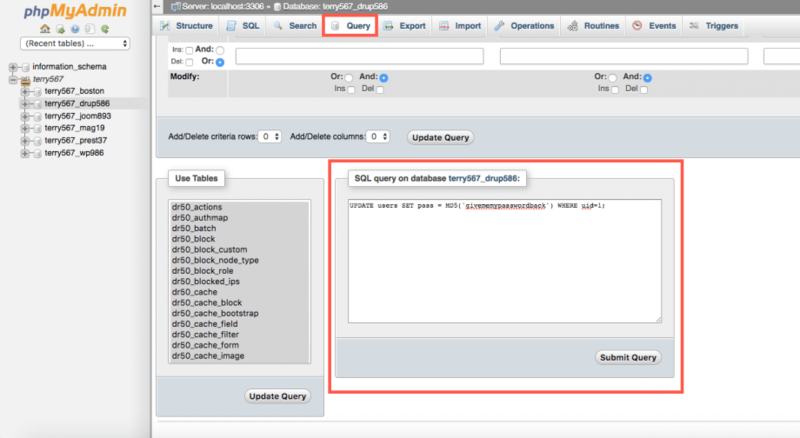 Now scroll down to the SQL query on database box and enter the following query (where ‘givememypasswordback’ is your new password). 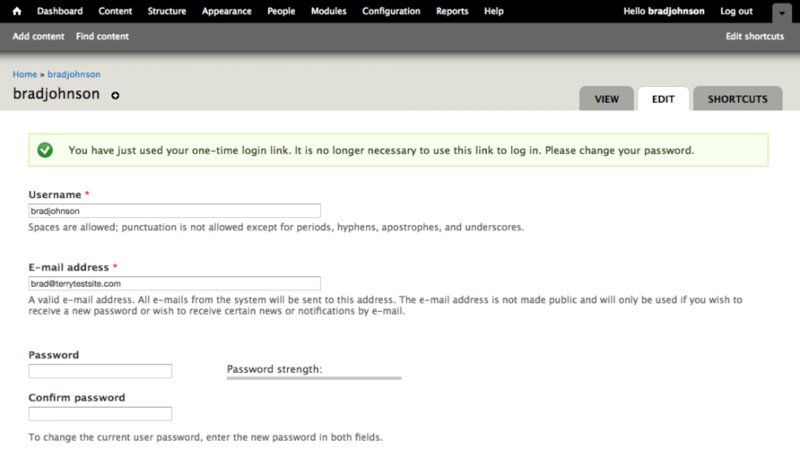 Your password will now be changed and you can log in to your account with the new credentials. If, for some reason, the above steps fail, please contact HostPapa Support for further assistance.